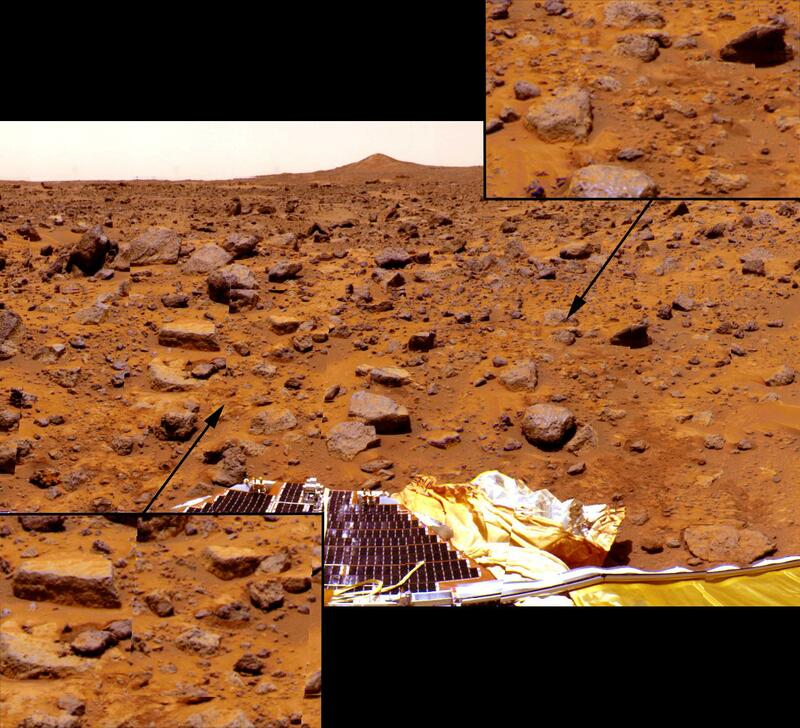 Looking southwest from the lander, soil disturbances indicating the spacecraft rolled through the landing site are visible. 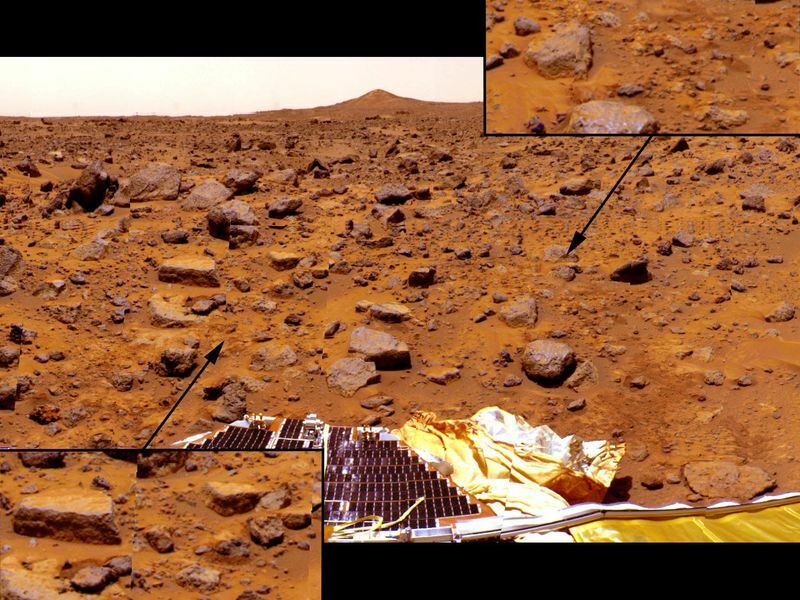 Arriving from the east, the lander, still encased in its protective airbags, rolled up a slight rise and then rolled back down to its final position. The inset at left shows displaced rocks near the rock "Flat Top." 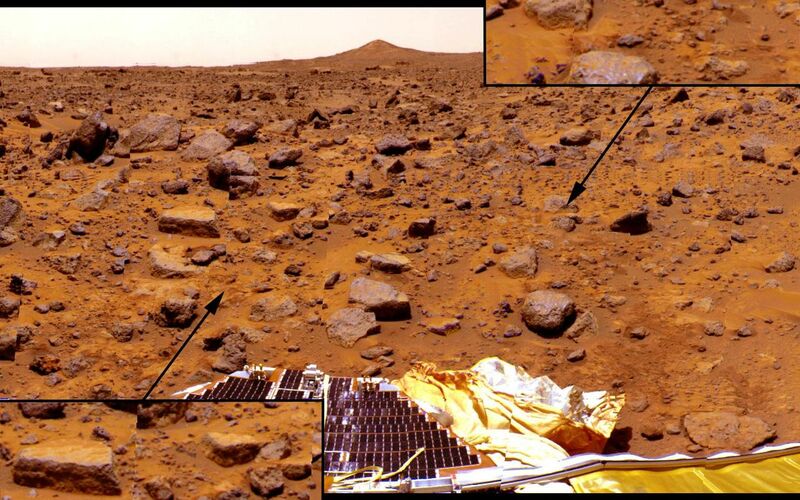 Dark patches of disturbed soil indicate where the rocks had originally rested Both insets show rocks that were pushed into the soil from the weight of the lander, visible from the areas of raised rims of dark, disturbed soil around several rocks. 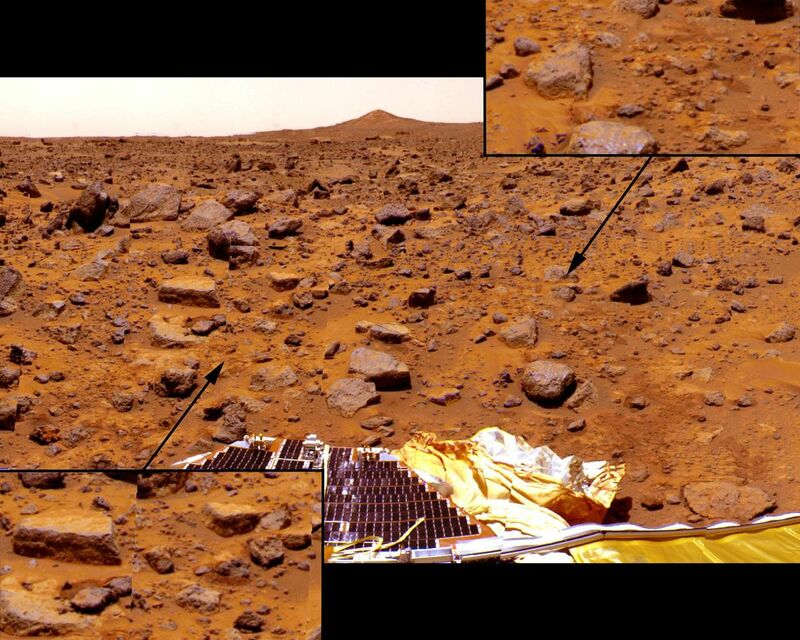 The south summit of Twin Peaks is in the background, while a lander petal, deflated airbag, and rear rover deployment ramp are in the foreground.